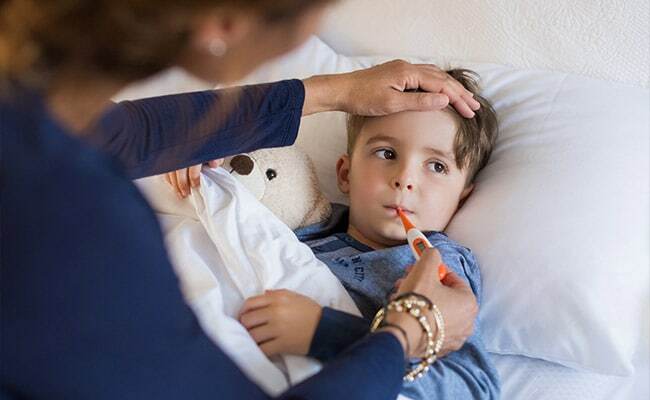 Centres for Disease Control and Prevention is warning parents to monitor their child’s symptoms in case s/he gets sick with what they would assume to be cold. According to CDC, this could actually be Respiratory Syncytial Virus or RSV, which is a common respiratory virus. RSV is a paramyxovirus which causes disease of the respiratory tract. The virus is one of the leading causes of bronchiolitis and pneumonia in young children. Abc7news says that doctors in some parts of the country are noticing an increase in RSV cases. And even though it causes symptoms of the flu or cold, it can lead to bronchiolitis and pneumonia in children under the age of 1. Other symptoms of RSV include reduced appetite, fever, wheezing, cough and a running nose. The virus can spread through cough, sneezing or touching infected surfaces and then touching your mouth, nose or eyes. In case your child is facing difficulty in breathing, is experiencing worsening symptoms or not drinking enough fluids, you must visit the doctor. How to prevent being infected by RSV? MayoClinic says that there is no vaccination for RSV, but a few basic and simple precautionary measures can protect your child from getting infected by it. Make sure that your child washes hands regularly. Limit your child’s exposure to people who have fever or cold. Premature babies and 2 months old babies must be provided with extra protection. Also, wash your child’s toys regularly. Parents needs to make sure that a child’s surroundings are always clean. Washrooms, kitchens and floors are cleaned with disinfectants regularly. Do not smoke indoors as infants who are exposed to tobacco smoke are at higher risk of getting RSV. They are prone to getting more severe symptoms of RSV as well. Smoking indoors and inside cars must be avoided. Season of fall or end of spring is the time when RSV cases are at their peak. Those who are at increased risk of RSV include premature infants, older adults, adults with asthma/COPD, children with weak immune systems and young children who have congenital lung or heart disease.